For the past 40 years, submersible human-occupied vehicles (HOVs) such as Alvin have given scientists direct access to the seafloor and the ability to explore it from a firsthand and up-close perspective—one they could only fantasize about from the decks of ships. But even more recently, humans have explored the abyss with vehicles that even da Vinci and Verne never conceived: remotely operated vehicles (ROVs) and autonomous underwater vehicles (AUVs). The latest generation of these innovative deep-submergence vehicles has enhanced human access to extreme abyssal environments and has greatly expanded the capabilities of Earth and ocean scientists to investigate the far reaches and depths of the global ocean. ROVs are unoccupied underwater vehicles controlled by a pilot aboard a support ship and tethered to a fiber-optic cable. The cable offers unlimited power to the vehicle, so ROVs can stay on the bottom longer than HOVs. The cable also transmits real-time images and data to scientists aboard ship. 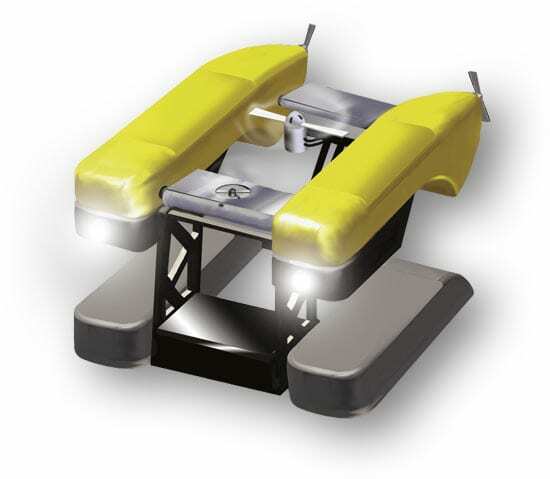 The ROV’s pilot uses the dexterous, force-feedback manipulator arms to collect samples, perform experiments, and deploy, service, and download sensors in the deep. AUVs are unoccupied, untethered vehicles that are dispatched on pre-programmed missions in the ocean. Like ROVs, they can operate submerged for longer periods than HOVs. But their free-swimming abilities, combined with more precise control over their movements, also allow them to explore and map much more of the seafloor and the water above it per dive. AUVs and ROVs, in concert with HOVs, will play indispensable roles in establishing and servicing long-term seafloor observatories. (See Seeding the Seafloor with Observatories) Together, the complementary capacities of all three types of deep-submergence vehicles provide synergies that have revolutionized how scientists conduct research in the ocean. The era of modern oceanography was launched by the HMS Challenger expedition (1872-76), and until recently has relied on surface ships that go on expeditions lasting from weeks to months to collect data. Technical advances in instruments, especially after World War II, let scientists collect more and better data, which fueled great leaps in knowledge about the Earth and ocean. Geophysicists mapped striking seafloor features, ranging from deep trenches to the mid-ocean ridge system—the globe-encircling underwater volcanic mountain chain where the ocean crust is born. (See Unraveling the Tapestry of Ocean Crust) These discoveries led to the plate tectonics revolution in the early 1970s, which created a fundamental new framework for understanding how the Earth works. Physical oceanographers pieced together a general understanding of the physics that controls the ocean’s circulation and water masses. With climatologists, they realized the importance of interactions between the oceans and atmosphere in controlling Earth’s climate. To observe and understand interrelated processes that change over time, scientists need to collect a variety of data—over spatial scales ranging from centimeters to kilometers and time spans ranging from seconds to days, years, and decades. They need to establish a continuous, comprehensive, long-term presence in the sea and on the seafloor—instead of trying to piece together processes by taking intermittent snapshots of a relatively few places and events. The difference in approach is like seeking to understand family dynamics by looking at a photo album versus spending a few weeks with a family. Here is where new ROVs and AUVs will excel. Equipped with new suites of sensors, an expanding fleet of autonomous and remote deep-submergence vehicles will give scientists more time to explore, with expanded capabilities to map, sample, and measure, over more territory—including remote and inhospitable portions of the oceans that have defied comprehensive exploration by surface vessels. At the Woods Hole Oceanographic Institution (WHOI), the synergy and collaboration among engineers and scientists have consistently pushed the envelope on robotic oceanographic technology. As a result a diverse range of vehicles has evolved from drawing board to prototypes and now into second generations of vehicles working routinely on the ocean frontier. Individual types of vehicles are adapted and equipped to accomplish specific missions. In the coming decades, for example, oceanographers are eager to measure physical and chemical processes that drive the world’s ocean circulation and influence Earth’s climate. Many of these interactions occur between the atmosphere and ocean over vast regions, between and across oceans. To this day, many oceans—including the South Atlantic, Arctic, Indian, and Southern oceans—have not been well-studied because of their great size, remote locations, or severe conditions (ranging from sea ice to stormy seas). Though satellites provide global coverage, they cannot provide data much beyond the sea surface. AUVs are probably the only way that we will fill in these large gaps in our knowledge and gain a full understanding of the short- and long-term oceanographic processes within nearly half of Earth’s ocean basins. For this mission, autonomous gliders and drifters are being developed that can travel across open oceans over hundreds of miles and several weeks, taking measurements all along the way. Drifters such as Argo, RAFOS, and Spray (now being developed by Brechner Owens at WHOI and Russ Davis at Scripps Institution of Oceanography) are pre-programmed to deflate and inflate a bladder, which causes them to sink as much as 2,000 meters (6,500 feet) in the ocean and then rise again to the surface as they are carried along by currents. Gliders are essentially drifters with wings that provide lift and allow them to move horizontally. At WHOI, Dave Fratantoni and colleagues are leading efforts to use and develop new glider systems. 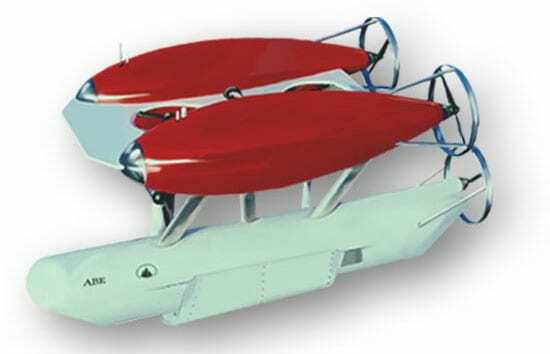 Equipped with diverse oceanographic sensors, gliders and drifters can make fine-scale measurements of temperature, salinity, current speed, phytoplankton abundances, and chemical changes, and then surface periodically to transmit the data via satellite to scientists on shore. Fleets of these vehicles, numbering in the hundreds and eventually thousands, will be able to make comprehensive studies of vast oceanic regions. The portability of these vehicles also makes them useful to study ephemeral or localized phenomena, such as phytoplankton blooms or upwelling events. For surveys, mapping, and data collection in shallow depths (330 feet, or 100 meters) and coastal ocean regions, WHOI scientist and engineers led by Christopher von Alt built REMUS (Remote Environmental Sensing UnitS). This class of AUVs has already logged thousands of research missions. Specially modified REMUS-based vehicles have been used to search for mines in Iraqi harbors and for cracks in tunnels supplying water to New York City from upstate reservoirs. In the deep ocean, the Autonomous Benthic Explorer (ABE) developed by WHOI researchers Dana Yoerger, Albert Bradley, and Barrie Walden has been a pioneer. It has provided a testbed for innovative robotics and electronics that have demonstrated the viability and value of deep-submergence AUV technology for a wide range of oceanographic research. 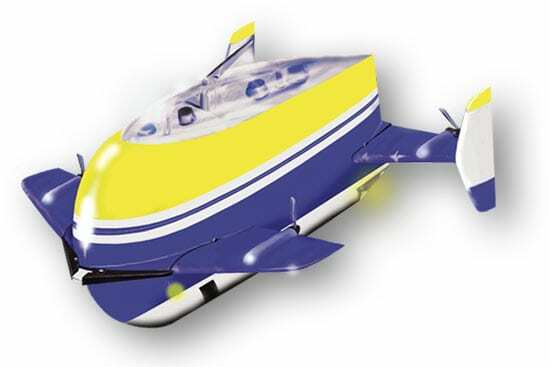 It can dive to depths of 5,000 meters (16,500 feet) for 16 to 34 hours, equipped with an assortment of sensor packages (such as high-resolution sonar, salinity, temperature, and chemical recorders, current meters, and magnetometers) to accomplish a variety of scientific missions, often during the same dive. AUVs add value to oceanographic expeditions by collecting data autonomously while ships simultaneously acquire data using more traditional means. 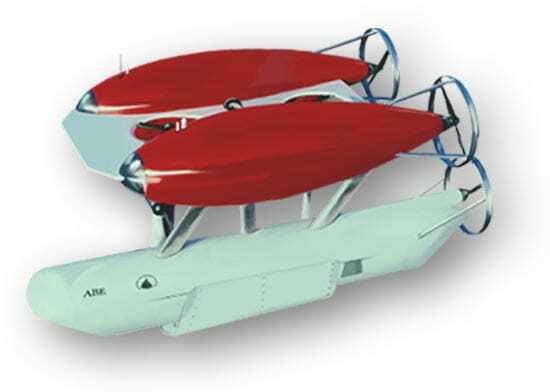 AUVs can also maximize the effectiveness of other vehicles. During a 2002 expedition to the Galápagos Rift led by WHOI biologist Tim Shank and his NOAA colleague Steve Hammond, ABE demonstrated that it could survey the seafloor by night, surface at dawn, and deliver high-precision maps that scientists in Alvin used to guide their explorations that day. ABE’s capability to adapt its navigation to maintain a precise course over rugged seafloor topography gives it the ability to make high-precision seafloor maps. In a typical dive, ABE’s sonars can image features less than a meter in length and a few tens of centimeters tall on a square kilometer of terrain. That is the equivalent of being able to see footprints on a football field from the bleachers. The scale and resolution of these maps alone are giving scientists the ability to correlate seafloor features and biological and geological processes in ways that were previously impossible. AUVs’ high-resolution mapping abilities will also play a key role in the development of long-term, deep-sea observatories by identifying optimal locales to deploy sensors measuring a wide range of chemical, biological, and geological processes over time. 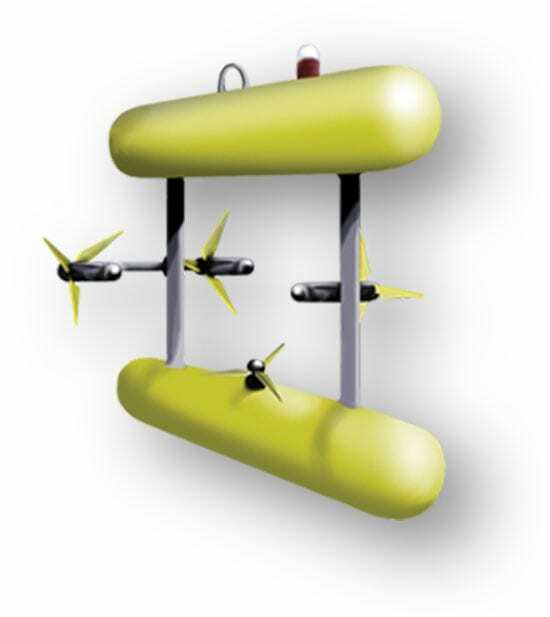 In the future, deep-sea observatories will include docking stations for AUVs. 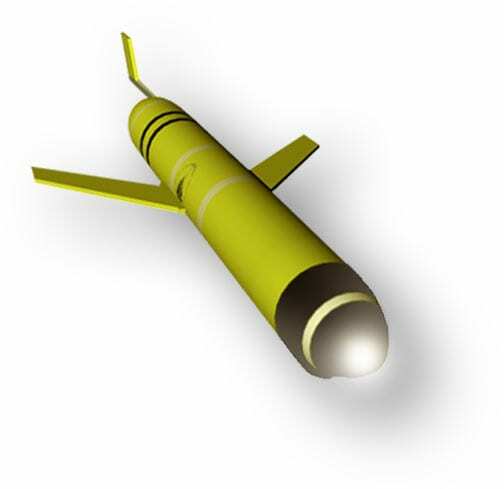 These AUVs will be programmed to be dispatched from their docks to rapidly respond to fast-breaking or ephemeral events in the oceans that ships could never reach in time to observe—an earthquake, for example, or a temperature or chemical change—and conduct timely sampling or deploy experiments. As good as ABE is, WHOI engineers are striving to make it and its progeny better. For instance, ABE was designed to be able to move in any direction or turn in place so it could maneuver close to the bottom. It does this well, but at the cost of efficiency in traveling straight or up and down. It is ideal for close-to-the-bottom surveying and photography. The immense value of these maps spurred WHOI engineers to design a second-generation vehicle called Sentry, optimized for sonar surveys in rugged terrain. Sentry will give up the ability to move directly sideways or to hold position and heading, but it will be much more efficient in forward travel, steep climbs and dives, and vertical motion. 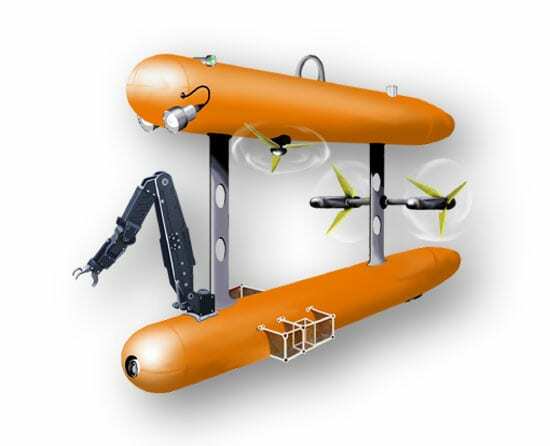 AUVs’ advantages are complemented by ROVs, such as the pioneering Jason ROV, first developed in the late 1980s by Andrew Bowen, Dana Yoerger, and colleagues in the WHOI Deep Submergence Laboratory (DSL), under the leadership of Robert Ballard. The lab designed and built an improved second-generation Jason ROV, which was launched in 2002 and is now in service as part of the National Deep Submergence Facility at WHOI. One disadvantage of ROVs, however, is that they can’t cover as much ground as AUVs in the same amount of time. The ROV tether, which can be thousands of meters long and an inch thick, produces drag on the vehicle, and makes it less maneuverable and vulnerable to entanglement, especially in difficult terrains. To combine the strengths of both types of vehicles, Bowen and Yoerger of the WHOI Deep Submergence Laboratory, in collaboration with Louis Whitcomb of Johns Hopkins University, have begun to design a Hybrid Remotely Operated Vehicle (HROV), which will be able to switch back and forth to operate as either an AUV or an ROV on the same cruise. It will use a lightweight fiber-optic cable, only 1/32 of an inch in diameter, which will allow the HROV to operate and maneuver at unprecedented depths without the high-drag and expensive cables and winches typically used with ROV systems. Once the HROV reaches the bottom, it will conduct missions while paying out as much as 20 kilometers (about 11 miles) of microcable. Pilots on surface vessels will remotely control the HROV via the microcable, which will be jettisoned upon completion of the mission. Untethered, the HROV will guide itself to the surface for recovery by a ship, and the microcable is then recovered for reuse. The HROV will bring ROV capabilities to places where it could not be used before, such as the ice-covered Arctic. If the ROV cable is severed during operations, the AUV capabilities will automatically take over to continue the mission autonomously or to return the vehicle to the surface. The HROV will also be capable of diving to 11,000 meters (36,000 feet)—deep enough to explore the deepest parts of the world’s oceans in the trenches of the western Pacific. The remote capabilities of AUVs and ROVs have proved enormously valuable, but there is still no substitute for being there. In particular, two-dimensional images from ROVs still cannot provide the direct, three-dimensional, full-contextual vision of the human eye, combined with the ingenuity of the human mind on the scene. Together, all these new deep-submergence vehicles will be at the vanguard of a new era of ocean exploration, leading us deeper into the ocean frontier and auguring a new era of discovery. The Ocean Observatories Initiative is funded by the National Science Foundation.